How do I buy a Batteries Plus Bulbs Franchise? When it comes to starting your own business, Batteries Plus Bulbs knows just how to set you up for success. 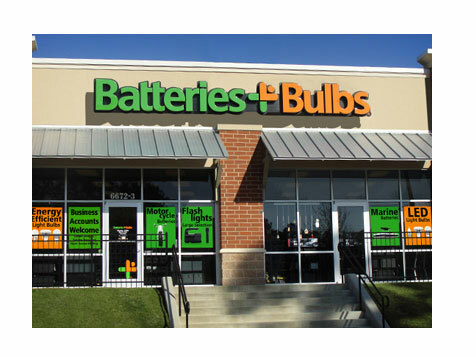 The advantages of a Batteries Plus Bulbs franchise are many and include the fact that it is a needs-based business with multiple revenue streams. This fine-tuned franchise is backed by over 25 years of well-established systems and support that can help your business reach its full potential. The Batteries Plus Bulbs franchise opportunity allows you to enjoy the freedom of owning your own business and making the decisions, while knowing you have ongoing support. You'll have assistance beginning with your site approval all the way to your store opening and beyond. Open Batteries Plus Bulbs in any of these available states: AL, AK, AZ, AR, CO, CT, DE, FL, GA, HI, ID, IL, IN, IA, KS, KY, LA, ME, MD, MA, MI, MN, MS, MO, MT, NE, NV, NH, NJ, NM, NY, NC, ND, OH, OK, OR, PA, RI, SC, SD, TN, TX, UT, VT, VA, WA, WV, WI, WY, DC. Help customers and businesses with their battery, lighting, and smartphone/tablet repair needs. Since you'll be selling consumable products that every consumer and business needs and uses regularly the demand for these products will continue to grow every day. 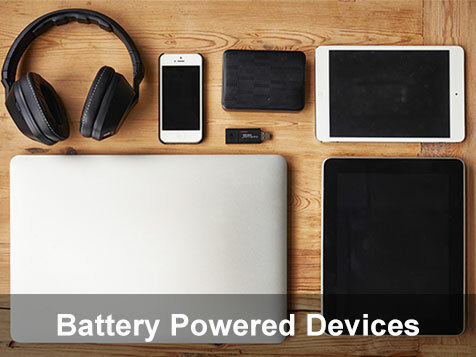 Batters Plus Bulbs offers nearly 60,000 types of batteries, light bulbs and related items for smartphones, cars, motorcycles and hundreds of other applications. No other business is able to match this mix of top-quality brands, such as Duracell® Ultra and Rayovac®, and the broad assortment and expertise makes them the dependable choice customers can trust. As mobile devices continue to grow in number, so does the demand to repair broken smartphones and tablets - a service provided right in the store. Continued Growth: There are no guarantees in life, but over 25 years of consecutive growth is a comforting track record. Consumable Products: Batteries and bulbs wear out. Your customers will depend on you for their power and lighting solutions and will come back again and again. Talk about repeat business! Multiple revenue streams: In addition to retail and business account sales, franchise owners also profit from national accounts, ecommerce sales, technical services and mobile device repair. 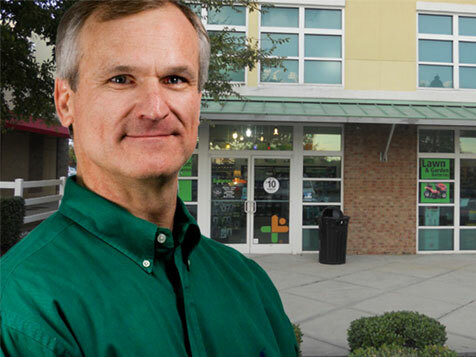 Franchisee Satisfaction: Our franchisees are so satisfied that in the last 3 years alone 1/4 of them opened an additional 90+ Batteries Plus Bulbs stores. Skyrocketing demand: U.S. households have approximately 3.3 billion devices requiring batteries and 7 billion sockets requiring light bulbs. At some point every one of those batteries and light bulbs will need to be replaced and we’ll be ready. Access to Products: There’s no such thing as “hard-to-find” batteries or light bulbs when you have access to this many SKUs through our dedicated supply chain. 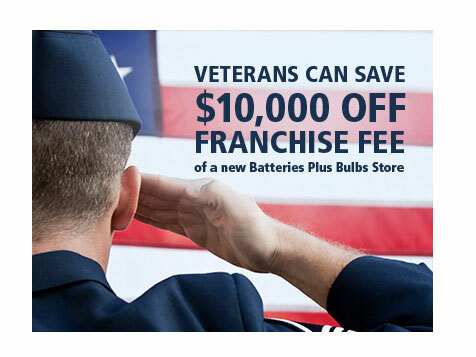 Proven business model: Few franchise opportunities are as time-tested and successful as Batteries Plus Bulbs has been since 1988. We continue to find new products and services to satisfy emerging demand and stay on trend. Industry recognition: Recognized by Entrepreneur Magazine as one of the top 500 franchises in America for the past 20 consecutive years and #1 in the battery category for the past six. Additionally we are ranked #8 Best Franchise in America by Forbes® in their mid-range investment category. Big Earnings: The average net sales for the top 25% of our stores are $1,344,490**. This last point speaks for itself. Batteries Plus Bulbs is seeking motivated entrepreneurs with strong communication skills, a business background, recognition of the importance of business-to-business sales and an interest in a technology franchise. To learn more about owning the nation’s largest and fastest-growing battery, light bulb, and cell phone repair franchise complete the inquire form today.